The 109th Lovers Quarrel will be started on 21st of March,2014 at 9am at the Galle International Cricket Stadium. The match was first played in 1905 and was won by Richmond College. 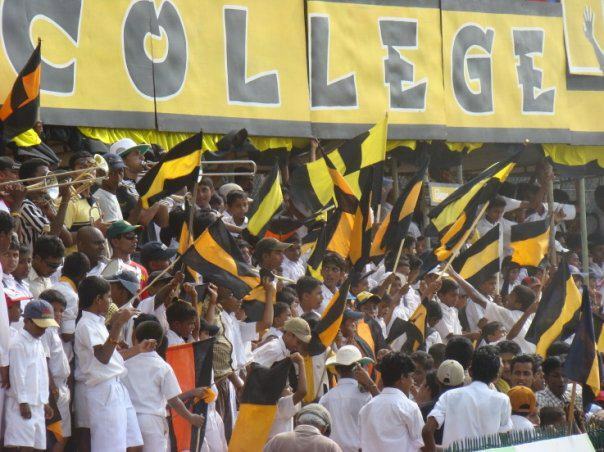 Mahinda College registered their first win in 1908 and led the series with 23 wins to Richmond’s 21. 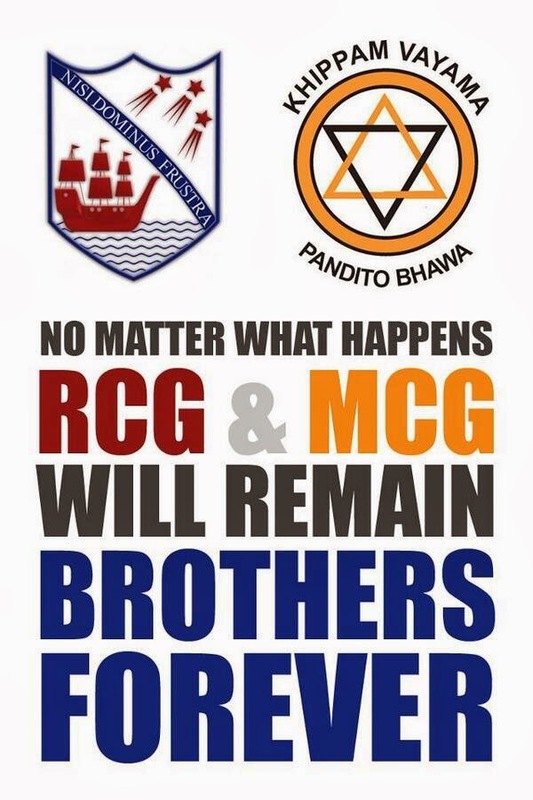 Mahinda College registered a ten wicket win in 2008 while Richmond have been deprived of a win for the last 43 years and will be out to break the hoodoo this year. Sri Lanka caps DLS de Silva, Jayananda Warnaweera, Athula Samarasekera, Upul Chandana and Lasith Malinga hail from Mahinda College while Champaka Ramanayake, Chamila Gamage and Suranga Lakmal hail from Richmond. P H K H Ranasinghe of Mahinda holds the record for the highest score in the series with 162 runs scored in 1972 while fellow Mahindian Somasiri Ambawatte scored a century and captured all ten wickets of the Richmond innings in 1953 to hold the bowling record and also the best all round performance to-date. ගාල්ලේ ආදරවන්තයන්ගේ සටන (Lovers' quarrel) 105 වැනි මහා කි‍්‍රකට් තරගය මෙම 21-22 දිනවල ගාල්ල ජාත්‍යන්තර කි‍්‍රකට් කී‍්‍රඩාංගණයේදි පැවැත්වේ. මෙතෙක් පැවැති තරග අතරින් මහින්දය තරග 23 ක් හා රිච්මන්ඩ් පිල තරග 21 ක් ජය ලබා තිබේ. රිච්මන්ඩ් විද්‍යාලය 1969 වර්ෂයෙන් පසු තරඟය ජයගෙන නැත. මහින්ද විද්‍යාලයීය කණ්ඩායම 2008 වර්ෂයේදී අවසන් වරට ජය ලැබුවේය. තරගය පිළිබඳ සජීවී විස්තර www.loversquarrel.org වෙතින් ලබාගත හැකිය. The Richmond–Mahinda Cricket Encounter is an annual cricket big match played between the first XI cricket teams of Richmond College and Mahinda College in Galle, Sri Lanka. It is one of the longest cricket match series in Sri Lanka, having played for 109 years.The match is also known as the "Lovers' Quarrel" in public and it is played at the Galle International Stadium. Lovers' Quarrel was begun in 1905, under principals Rev. James Horne Darrel of Richmond and Frank Lee Woodward of Mahinda.